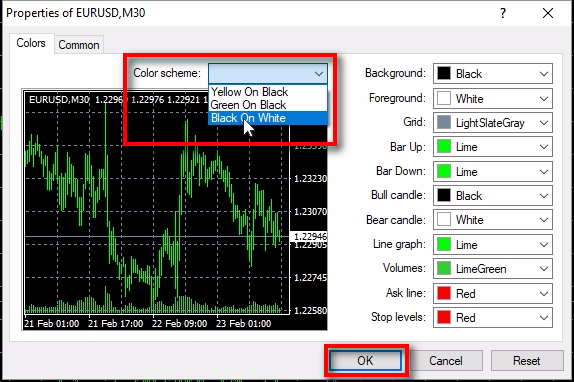 In this tutorial, Rimantas explains how to install FxMagnetic indicator on MetaTrader 4 trading platform. In just 5 minutes you’ll have FxMagnetic installed and ready to use. 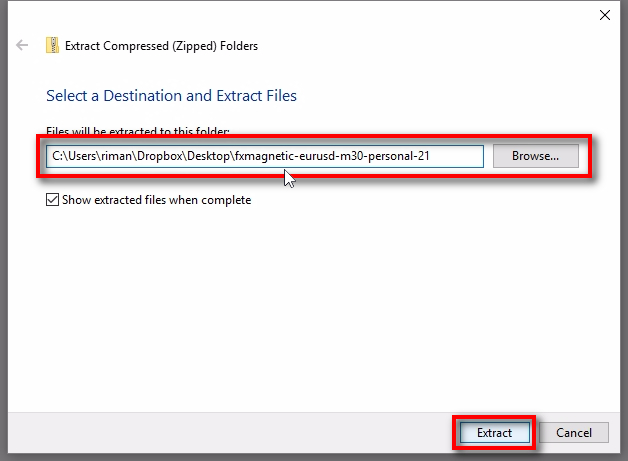 Make sure you have “Show extracted files when completed” box checked. Double click on the auto-installer to start the installation process. Read the License Agreement. If you accept, select the “I accept the agreement” option and click “Next”. Check as many boxes as you like which tells the auto-installer where to install the FxMagnetic. You can use “Highlight filter” to find appropriate folder easier. In this example, you see I’ve typed “blueberry” and this highlights all folders on the list with “blueberry”. 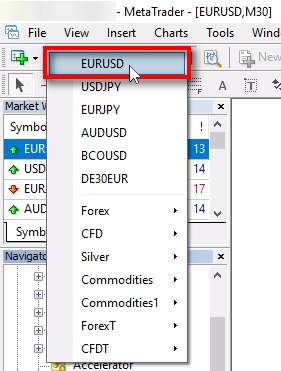 If you are missing some MT4 folders on the list you can add them by clicking the “Browse” button. 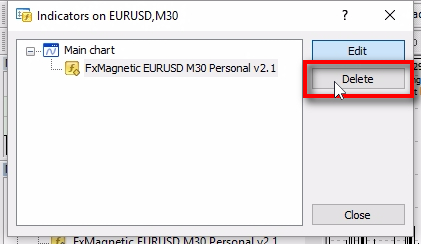 The box “Add new version to all charts” is only for sure when you are installing a new FxMagnetic version into MT4 instances that already have older FxMagnetic installed. 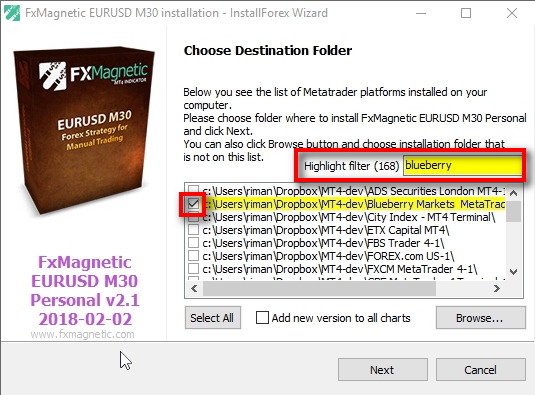 If this box is checked, the auto-installer will make it so that each selected MT4 loads the new FxMagnetic version on startup. This way you won’t need to go through each MT4 on your computer to attach new version of the FxMagnetic manually one-by-one. This only works when all MT4 terminals are closed. Once you are to continue, click “Next” this and all additional steps you’ll get to until you see and click the “Finish” button. 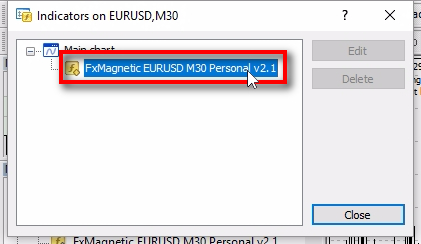 If you cannot use auto-installer for any reason you can always copy FxMagnetic files manually to the right folder of MT4. 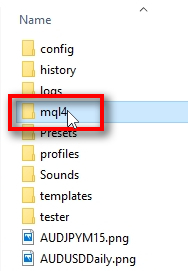 You need to copy the entire contents of the “MQL4” folder found in the same FxMagnetic package next to the auto-installer. First, click the right mouse button to open a pop-up menu. Click “Copy” to copy this folder to the clipboard. 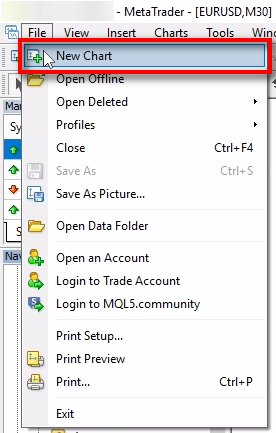 Switch to the MT4 window and open “File” from the top menu. 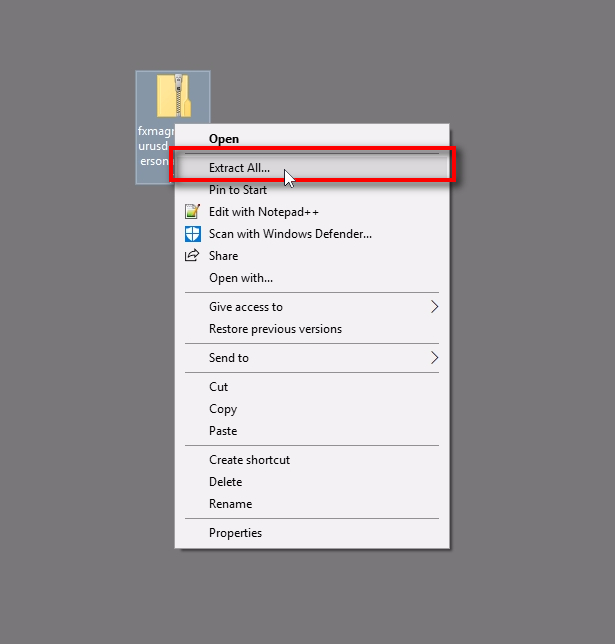 Click on “Open Data Folder” menu. 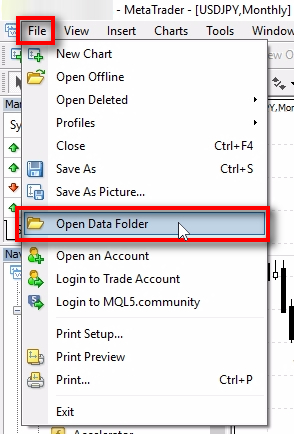 When MT4 Data Folder loads up click the right mouse-button anywhere to open a pop-up menu. 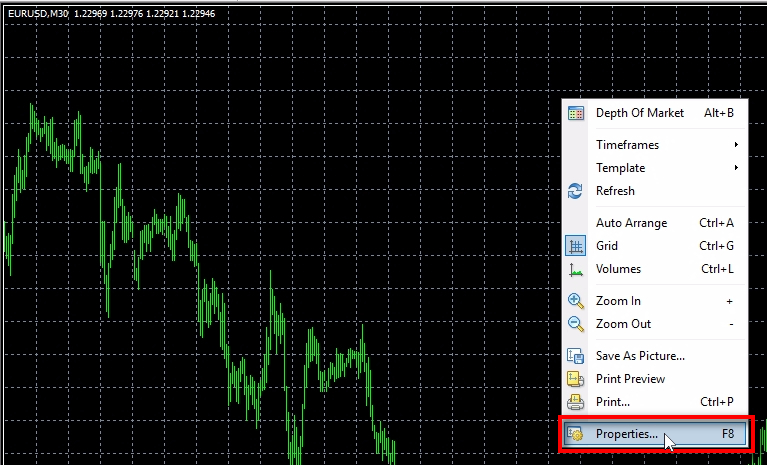 Click “Paste” to have all FxMagnetic files (MQL4 folder) copied to this MT4. 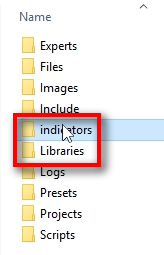 Inside the MQL4 folder, you’ll find folders “Indicators” and “Libraries”. This is where FxMagnetic must be copied. Check both folders to make sure files where copied successffuly. 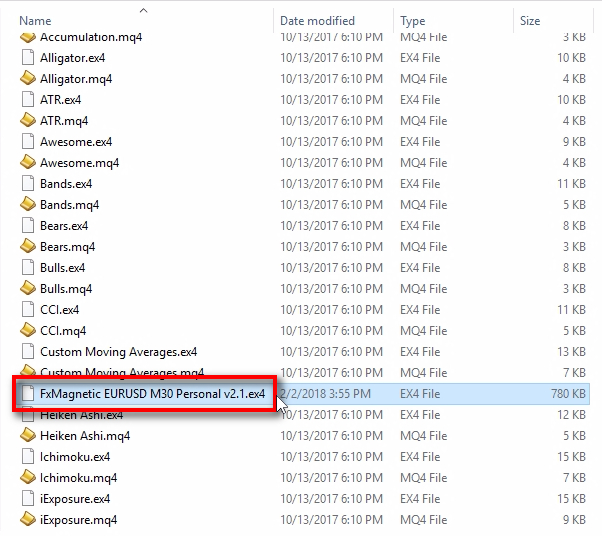 Check if the EX4 file of the FxMagnetic exists inside the “Indicators” folder. 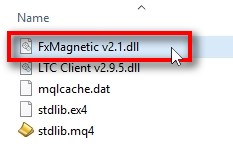 Check if the DLL file of the FxMagnetic exists inside the “Libraries” folder. Click on “New Chart” in the “File” section of the top menu. 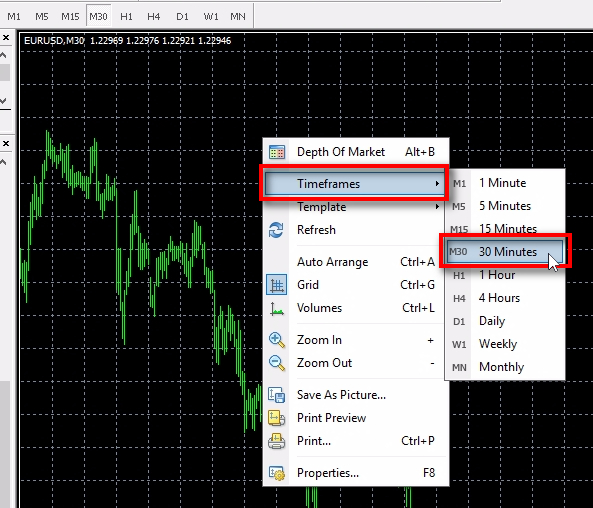 In this example, we are using FxMagnetic for EURUSD. This means we need to open EURUSD chart (any timeframe). Switch to your preferred timeframe from the top toolbar. FxMagnetic works on all timeframes, but, as with most strategies, higher timeframes seem to be more accurate. You can also switch between timeframes from the pop-up menu. Click the right mouse button anywhere on the chart, then go to “Timeframes” and choose a timeframe you want. It’s a good idea to change the color scheme of the chart. FxMagnetic information printed on a white color background is easier to read. Click the right mouse button anywhere on the chart to open a pop-up menu. Click on “Properties… F8” menu. Select “Black On White” color scheme. It will be easier to read the text printed by FxMagnetic. It is recommended to turn on “Chart Shift”. This shifts end of the chart from right border to make a room for FxMagnetic stats. Use “Zoom In” and “Zoom Out” buttons in the top toolbar to switch to the proper chart zoom position that’s easy for you to read. I recommend “Candlesticks” style but it’s for you to decide which one you love better. 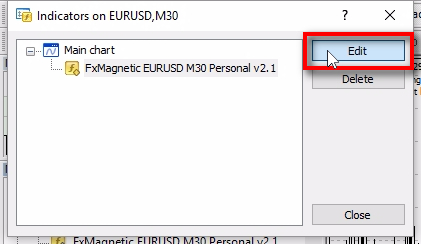 Locate the FxMagnetic indicator in the “Navigator” window and click the right mouse button on it to open a pop-up menu. Click on “Attach to a chart” menu. If you don’t see “Navigator” window then use CTRL+N to show it. Switch to the “Common” section of the FxMagnetic properties window. Make sure you have “Allow DLL imports” selected. The software will not work without it. 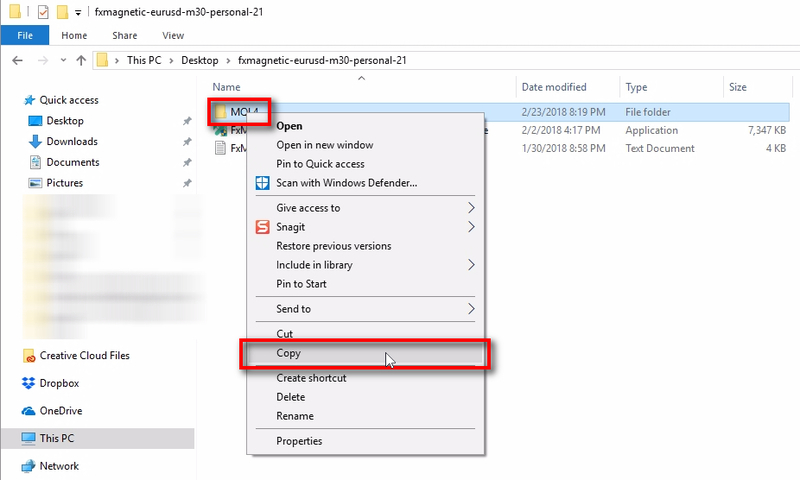 This allows FxMagnetic to connect to the Download Center for the validation of the License Key. Switch to the “Inputs” section of the FxMagnetic properties window. 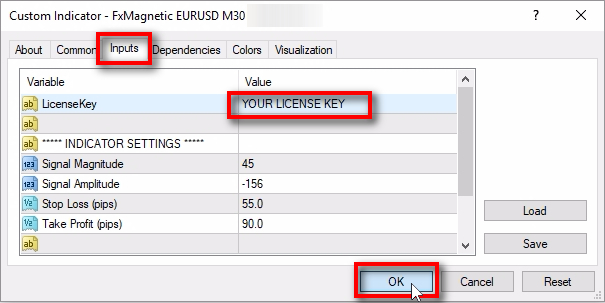 Double-click on the “Value” column in the “License Key” row and enter your License Key. It was sent to your inbox after you’ve purchased the software. If you are installing a trial version of the indicator then you can skip this step. 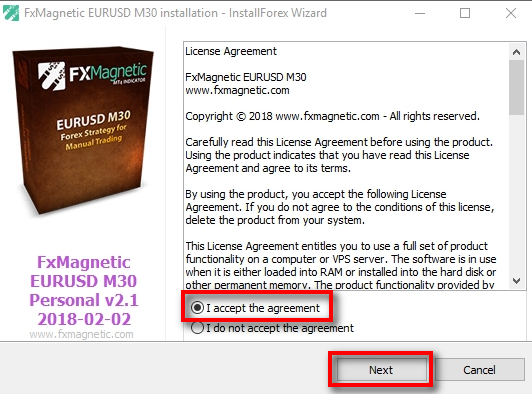 Trial version of FxMagnetic does NOT require License Key. You can change other parameters as well to experiment and possibly find better entry signals or you can leave them as is. 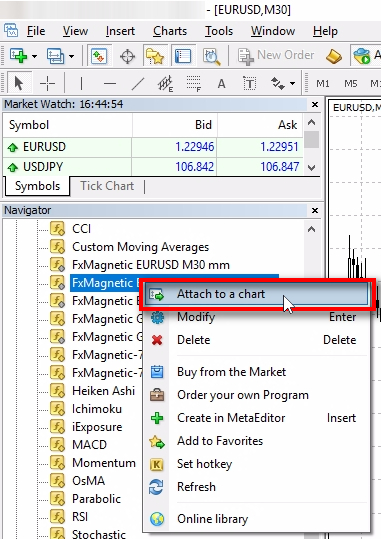 You will see various information on the right side of the chart when FxMagnetic is loaded. You can see “Winning Rate”, “Total Profit” and other stats of the last trading signals. FxMagnetic also displays the exact information for the current and last closed signals. If you want to change indicator settings or remove it from the chart, first you need to open indicators list. Click right mouse button anywhere on the chart and choose “Indicators List” from the pop-up. Click on the indicator in the list to select it. 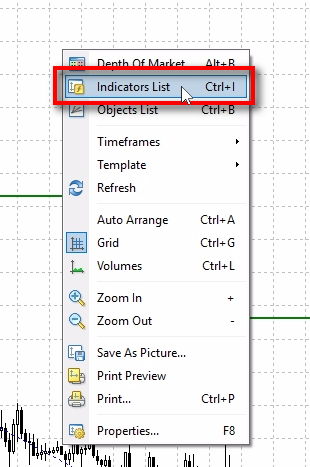 To remove the indicator from the chart click the “Delete” button when the indicator is selected in the list. Note that this does not actually delete the indicator from the MT4 terminal. This will remove the indicator from the chart and you can attach it again any time. To change indicator settings click on “Edit” button to open indicator properties window. Once the indicator properties window opens you can switch to “Inputs” tab and change the settings. Let’s turn on phone alerts. For this, you need to set the “Use Phone Alert” to TRUE. IMPORTANT: Note that phone alerts must be configured first in the MT4 Options window. If you enable phone alerts and your MT4 does not have mobile notifications enabled you’ll see his error screen with short instructions. 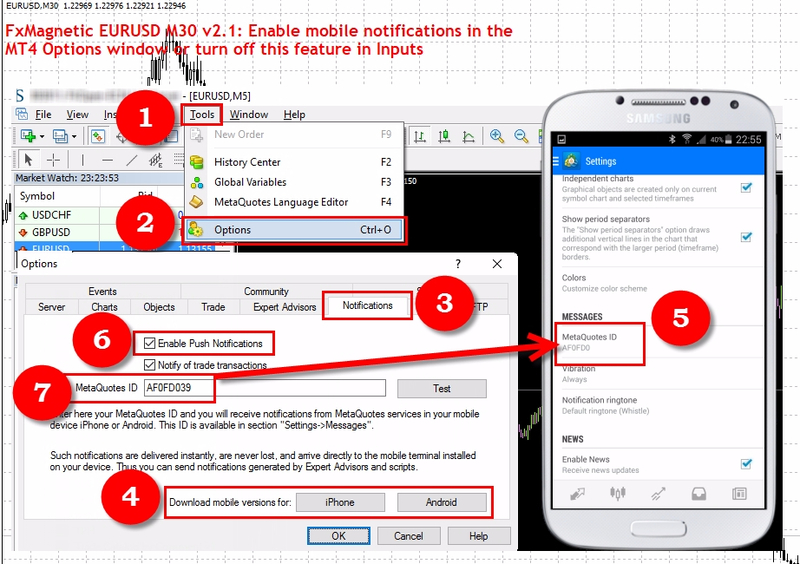 Follow these instructions to enable mobile notifications and then turn on phone alerts for the indicator again.